Example: if you're in Pennsylvania (US Eastern time) and are available for a meeting at 12 PM Eastern, but the receptionist that books that appointment is in California (US Pacific time), by default the calendar will show your availability in Pacific time.This may lead your receptionist to unintentionally schedule your 12 PM event at 9 AM. No need to worry, there is an easy way to avoid potential mistakes and confusion by following three easy steps to change the time zone auto-detect setting on your account. 1. 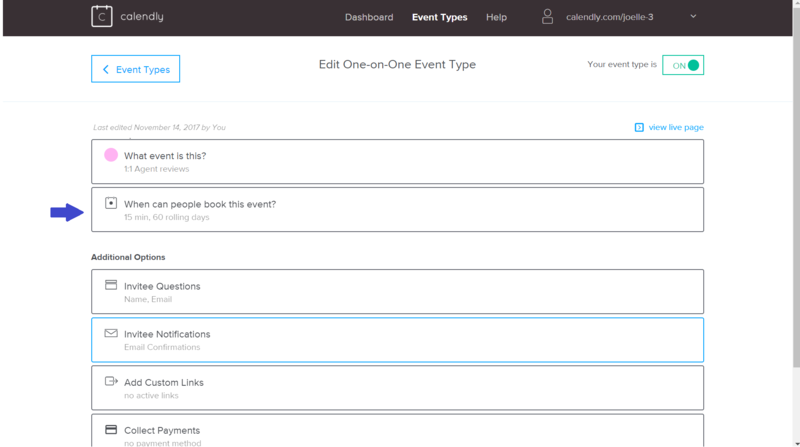 From your “Event Types” page, choose the event type you'll be updating and click "Edit". Select "when can people book this event?" 2. The event timezone should be set and locked to your timezone. You can select the appropriate timezone by clicking the blue "edit" link. 3. When you click "edit", a window will appear. Verify that the radio button for "locked" is selected. Verify that your time zone is selected from the list, and click "apply". 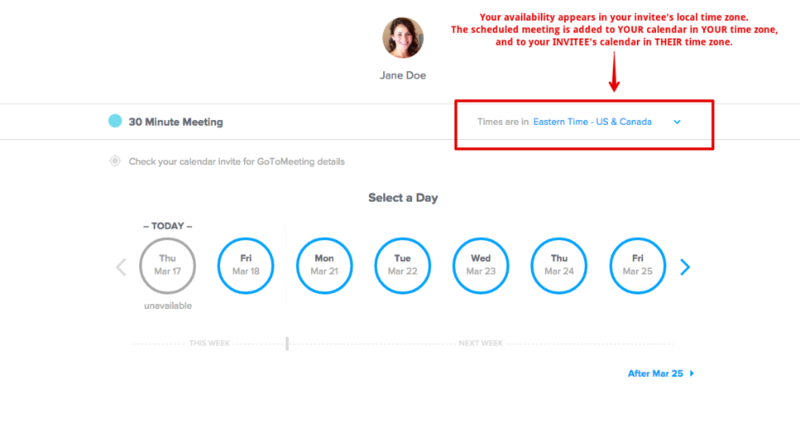 Regardless of the time zone your invitees are in when they schedule with you, they will only see availability in the time zone you've manually defined - making it easy to schedule in-person events. 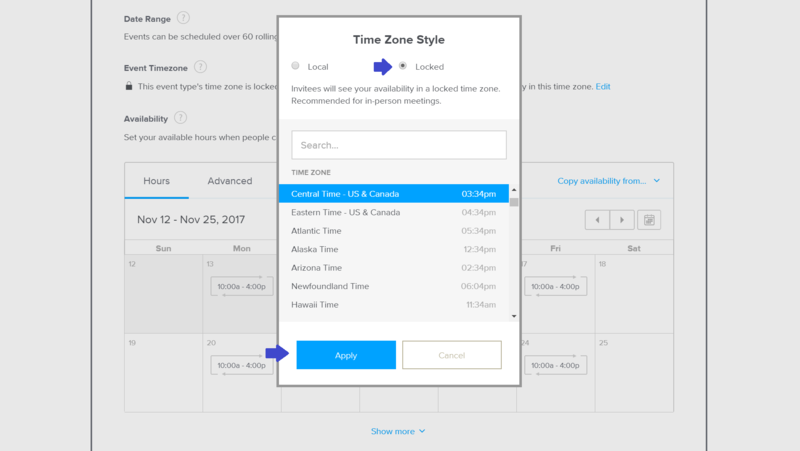 If you are having trouble changing the time zone settings for Calendly, or have general questions about integrating your calendar with Smith.ai's intelligent software, please reach out to us at support@smith.ai.